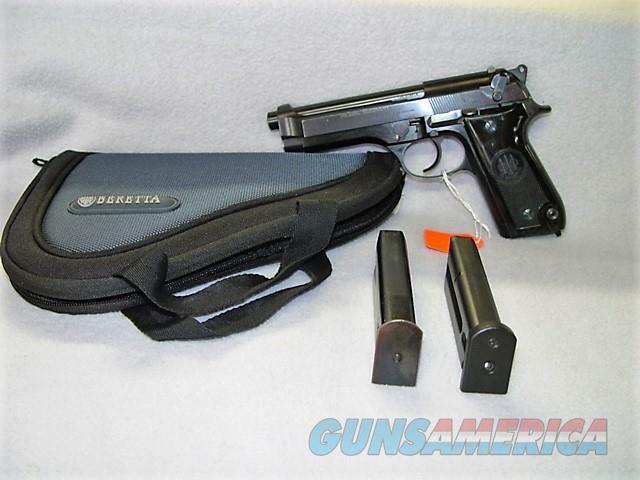 Description: Beretta 92S 9MM Parabellum. Used, minor wear. Overall very good condition with just a few handling marks. 4.9" barrel with fixed sights. Alloy frame, high polished blue finish, and plastic grips. Comes with soft case and two 15 round magazines. Manufactured in Italy. Imported by PW. Arms. Redmond, WA. No mechanical issues - Functions Flawlessly. More photos available on request. Maine residents pay 5.5% sales tax.